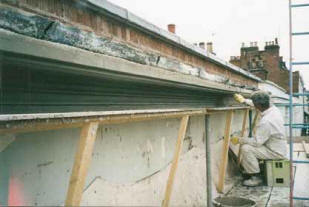 Traditional Plastering Company : Plastering,traditional,repair,restore,rebuild,old & new. Established in 1979 we provide a full range of specialist plastering services as well as general plastering. "I began plastering at 15 years old in 1972 and completed a four year apprenticeship with D. Lorden & Sons. After seven years I left to start my own plastering business and over the following years have travelled to various parts of the UK to attend courses and seminars to attain further knowledge of the plasterer's trade, which includes restoration and repair of limework and ornamental mouldings. I am an associate of the Plaisterers Company and work closely with Local Authority Conservation Officers. We are members of the Construction Skills Certification Scheme (CSCS) which shows that we are competent craftsmen and also that we have passed the appropriate CITB-Construction Skills Health and Safety Test. For more information visit the CSCS website.